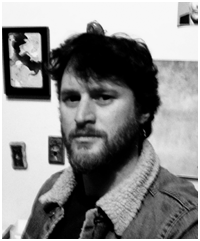 Aaron Haye is an Art Director and Digital Set Designer with more than 15 years experience and nearly 40 film credits in Art Department and Visual Effects. After receiving a degree in Marine Biology from UCSC in 1995 he landed a job at Industrial Light and Magic where he worked as a model builder on films like Star Wars Episodes I and II, Men In Black and A.I. In 2002 he moved to Los Angeles and migrated into the developing niche of 3D design for film. His recent credits include, Star trek, The Social Network, The Curious Case of Benjamin Button, and the upcoming Battleship. Aaron has been an avid Rhino user and proselytizer since its first release in 1999.